Your personality and preferences are inherent aspects of a rich inner universe. The movement of the planets are mirror reflections of our psyche. The planets in the Zodiac constellations are symbols and guides for our lives. This is the essence of the Hermetic "as above, so below" mystery. Your astrology chart is a personal mandala which shows planets, zodiac signs and houses uniquely woven as fabric in a tapestry. We embody these vibrational essences. Major life transitions relate to the passage and apparent movement of the heavenly bodies across our skies. 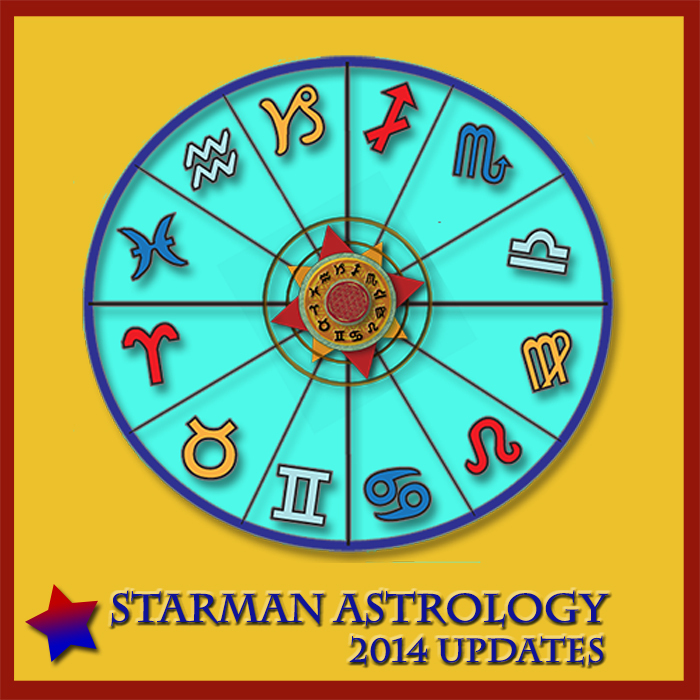 This article introduces the planetary aspects found in your astrology chart. The Rising Sign (Ascendant) - relates to the zodiac constellation rising in the eastern sky at the moment of your birth. Mystics view the "east" as a doorway to life intention. The ascendant is any one of the twelve zodiac signs. This sign is considered a developing energy through your life time. You learn the many lessons of "what works and what doesn't work" along the way. The rising Zodiac sign determines the Planetary Ruler of your chart. See below for planetary rulers for each sign. The Lunar North Node - is denoted in a natal chart by an Omega sign. Lunar nodes represent 2 points where the Moon and Earth's orbits coincide each month. The astrological sign and house placement of the north node represents how you acquire life's gifts and experiences. It is a doorway to move toward, or a focal point for your inner compass. The north node adds further definition to the Rising Sign's developmental process, similar to the curriculum you would follow taking a major in a school. Lunar South Node - a door closing from the past. Its house placement adds further definition to the Moon's developed energy. This area is where you may feel comfortable, but not where you grow. Essentially the antithesis of the North Node intention, this represents where you've been. Moon - represents a developed aspect of the chart. The Moon's astrological sign indicates your innate gifts and how you express your emotional energy. It is Indicative of your elder mastery and where you feel at home. It is also your psychic connection to the greater mysteries of life. Planetary Ruler for the sign of Cancer. Sun - the fuel you burn. Most people know their "Sun sign", but it is only one element of expressing your energy. How you shine your light in the world. Your "fuel", not essence. Planetary Ruler for the sign of Leo. Mercury - represents how you "think", communicate and process on a mental level. Planetary Rulers for the sign of Gemini and Virgo. Venus - for a woman, the essence of her feminine expression. A developed energy. How you naturally express your gifts. For a man, an external reflection or anima of what he's here to discover within himself. Planetary Rulers for the sign of Taurus and Libra. Mars - For a man, his masculine essence. How you take action in the world. For a woman, her animus; what she is here to discover within herself. Ruler for Aries. Jupiter - the largest planet, therefore symbolically represents very big energy. Expansive. Signifies the experiential path upon which you develop your Rising Sign. Its vibration carries much fortune and grace unless strongly conflicted by other planetary aspects. Ruler for Sagittarius. Saturn - Represents "form and structure". How you organize your life. A "bouncer at the door", Saturn creates supportive boundaries or may be the area where you feel challenged, constricted, controlled or held back. Ruler for Capricorn. 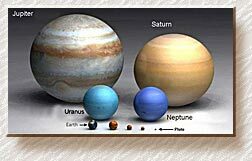 The "outer or transgenerational planets": Uranus, Neptune, Pluto - given their very slow orbital periods, are indicative of broad generational themes. Each planet takes on added personal influence if it forms a close association with other significant personal planets, Sun, Moon, Mercury Venus Mars, Jupiter or Saturn. These 3 planets are the "higher octave" vibrations of Mercury, Venus, and Mars, respectively. Uranus - The free radical of the lot. On the external stage, Uranus positions its axis with North facing the Sun (literally rotating "on its side"). Like lightning, Uranus signals quick, unexpected change. Ruler for Aquarius. Neptune - Associated with water, fog and mystery. Neptune invokes within your psyche a sense of vision. It fuels your intuitive nature and dreams. Ruler for Pisces. Pluto melts down walls. It is the transformer, It provides power (think "plutonium"). It melts down old structures, paving the way for new form and intention. A non-negotiable energy, Pluto cycles are usually the most challenging and transformative of the lot. Ruler for Scorpio.